Horror and History Await You Inside! 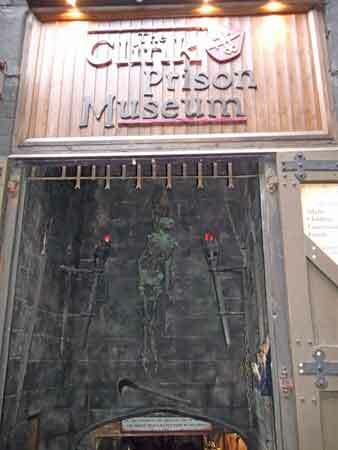 The Clink Prison Museum tells the grizzly real life story of one of England's oldest prisons. Set within a building on the original site of the prison itself and within one of London's most fascinating areas, you can learn all about the history of crime and punishment going back over 900 years. Learn about some of the Heretics and debtors, traitors and rebels who ended up here and shiver at the thought of their terrible fate! One of England's oldest and most notorious prisons, 'The Clink' existed on this site from 1144 until it was burned to the ground during the Gordon Riots in 1780. Throughout mediaeval times, this area south of the Thames known as Southwark was full of bear baiting rings, theatres, pubs and brothels and was a haunt for criminals and outcasts. The Bishop of Winchester owned the prison and used it to try to keep the area under control. You can still see the remains of Winchester Palace next door to the museum, including its famous Rose Arch Window. These remains date from the 12th century and were only discovered when a warehouse was demolished in the 1980's. The name of the prison itself is reported to originate from the sound a blacksmiths hammer would make, as manacles and leg irons were fastened onto the unfortunate inmates. From then on "The Clink" became a slang term for all prisons that followed! In this place, you can discover the stories of some of the inmates who ended their days here and learn about the appalling conditions before the days of prison reform. The museum attempts to deal with such subjects as torture, disease and death in an engaging, informative and entertaining way without being too scary for the squeamish or faint of heart. We visited the Clink Museum as part of a day out along the south bank of the Thames near London Bridge. This is a fascinating part of the city crammed with places of interest including Shakespeare's Globe Theatre, Tate Modern, The George Inn, Vinopolis, The Old Operating Theatre Museum, Southwark Cathedral and much more. The Clink itself is tucked away down a narrow and atmospheric alley, past Borough Market and next to the remains of old Winchester Palace. It's probably one of the smallest of London museums and unless you stay to read all of the information panels, you can see the whole thing in less than half an hour! To be honest I thought the venue was half way between being one of those themed 'experiences' such as the London Dungeon and an actual museum. It has some reproductions of scenes with posed mannequins and accompanying sound effects that help illustrate and bring to life some of the terrible conditions that people suffered. Older children may also enjoy some of the more grizzly depictions such as decapitated heads on spikes or a decaying body strung up in a gibbet. But the prison itself is long gone and if you visit expecting to walk through the remains of the actual building, such as the gaol cells or dungeon gates, then you may be disappointed. One good aspect is that you can pick up, examine and feel the weight of some of the examples of torture and restraint equipment. These included a chastity belt, ball and chain and a horrible Iron Boot which was designed to slowly crush the victims foot in the most agonising way possible. The museum does work as a good introduction to the extremely colourful and rather disturbing history of the area, but make sure that you do read the information panels to get the most out of your experience. 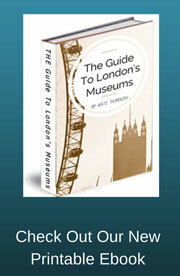 You also get an excellent History Guide book with the entrance price. This tells you about such things as the history of Southwark, the Plague and the Black Death, Torture and Execution, Heretics and Rebellions and many other subjects connected with The Clink Prison Museum.